Malcolm and Ann Spaul commenced business in 1982 selling greetings cards and ladies hosiery to village stores, newsagents and sub post offices. After 10 years of trading their son Alastair joined the business as a company sales representative having left the army where he served as a Royal Engineer and the business went from strength to strength. The range grew to include general stationery, hardware and household supplies. 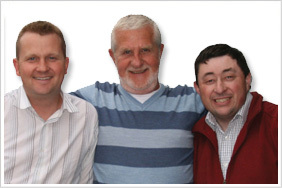 By 1995 we needed additional staff and their other son Jonathan joined the business. Year on year the business has increased and we have concentrated on directing our sales efforts at village stores, rural post offices, newsagents, mini markets and garages. 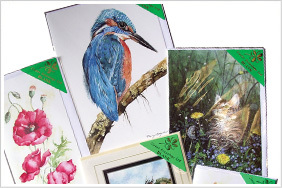 Our comprehensive range now covers greetings cards, stationery, haberdashery, hardware, electrical, household supplies, drapery (gloves, hats and socks), footwear (wellington boots) and much more. Our success, we feel, is due to the fact that we supply all our goods in single quantities. Why buy dozens or case lots when all you require is only two or three of any article. 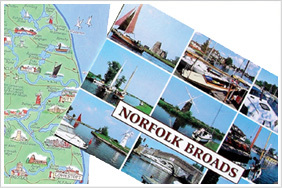 After nearly 30 years of trading one of our strongest lines is still greetings cards, mainly because when ordering a dozen of any title we supply you with 12 all different designed cards giving you a much larger range of designs. We try to stock lines that the larger Cash & Carry Wholesalers have given up on and we think this has given us that individual attraction and encouraged customers to use us on a regular basis. Putting the business on the internet is our way of expanding the business yet further, and Alastair’s wife has joined the business to deal with the day to day running of this.